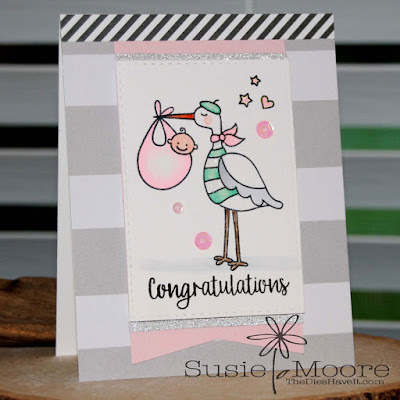 This week's Simon Says Stamp Wednesday Challenge Blog is a super fun one. It's ANYTHING GOES and Avery Elle is the star of the show. My stamp set of choice was easy! 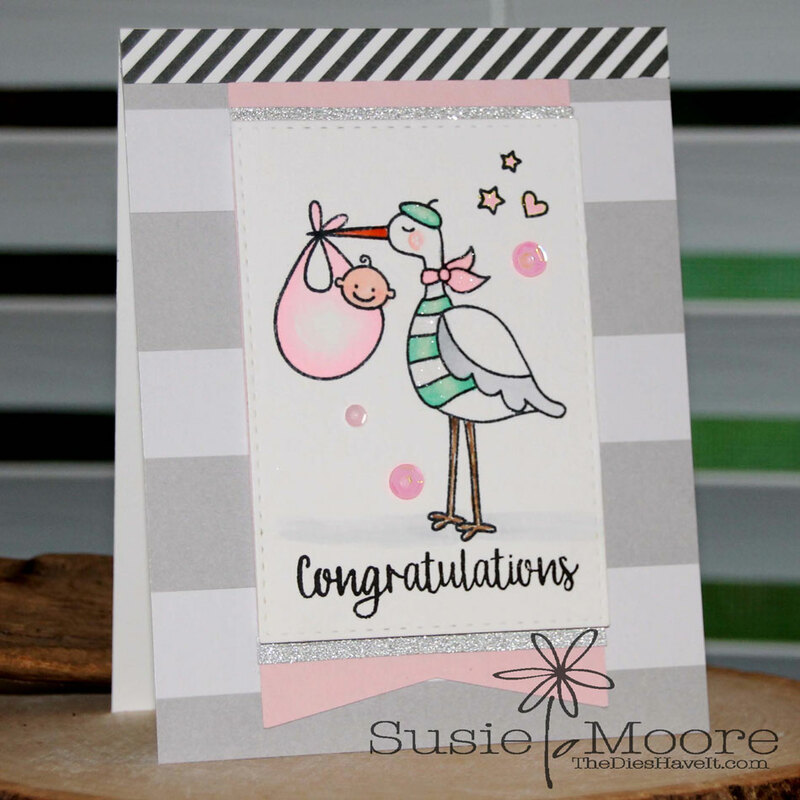 We are expecting grandchild #12 in January, so I needed another baby congratulations card. I used the Special Delivery stamp set from Avery Elle. I love that I was able to do some pink coloring this time. I can't wait to meet this special baby girl bundle of joy!